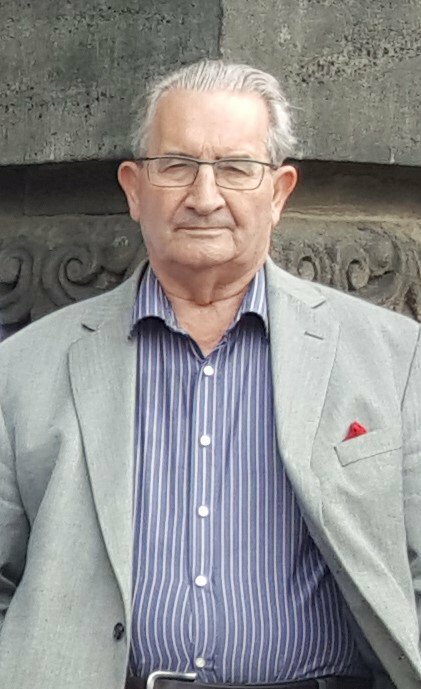 It is with great sadness that I have to report the passing of our Technical Director, Mr Brian Fowler, who has sadly died at the age of 82 last Friday, following a short battle with cancer. I am aware that not everyone will have known Brian, however without his involvement we would not be the company we are today. Brian was instrumental in the formation of QAI Ltd, running the Sunderland office of the then consultancy company from 1992. In 1999, QAI Ltd was wound up as a consultancy firm and Brian's involvement continued as a Director of IHC Ltd, alongside Peter Ainsworth, who were sub-contracted to run the Food Hygiene audits for QA International Certification Ltd. In 2001, Brian was heavily involved in the writing of the first version of the BRC Technical Standard for Packaging, which has now evolved into the BRC Global Standard for Packaging and Packaging Materials, which he continued auditing against up until what turned out to be his final audit for ourselves on the 14th August 2018, before his ill health prevented him from carrying out any more work. Brian has visited many different places around the world, and he would love the opportunity to jet off to America or China or the Middle East to conduct an audit, but he was just as much at home auditing in the North East or any other part of the UK - he just loved doing what he did, and he loved trying to help people (whether or not he was allowed to do that as an auditor is a different subject!). He loved his job that much, that in the years from 2003 to 2014, it was not unusual for Brian to carry out over 100 audits per calendar year. Brian will be sadly missed by all of us who knew him personally, and our thoughts and prayers go out to Nancy and the rest of his family at this sad time. We have received the following information from UKAS regarding the expiry date of OHSAS 18001. This standard will see existing certificates have a final expiry date no later than 11th March, 2021. Please be advised that the date for re-certification on certificates for this Standard cannot exceed that date. All Certificates issued to this Standard will have re-certification before, but not exceeding the date above. All sites who have not yet started the transition process to the new ISO 45001 Standard should start making preparations for your future audits, as we are intending to re-certify all existing certificates to the new version in 2020. QAIC Packaging is proud to announce that they are supporting and working with Red 2 Black Management, a sports management company looking after young and upcoming snooker stars as they aspire to reach the professional ranks. The backing provided by QAIC Packaging, supports Red 2 Black in its objective of helping young players by offering companies sponsorship opportunities with players, with the potential for national and international media opportunities, including local radio, newspaper and television exposure. 25 year old Darren Cook from Hartlepool is a former England junior snooker international with multiple local and national titles to his name. Darren's performances in World Snooker's Cue School events over the past few years have earned him invitations into the China Open, the Wuxi Classic and the Australian Open. With a highest break of 147 in practice and 137 in a match, Darren is now looking for a company to help him reach the next level. As a former England team-mate of Kyren Wilson, a current top 16 player in the world, and many other current professionals, Darren now wants to join them in the game's elite and is looking for a corporate partner to help him along the way. 16 years and still as Sharp as ever! On the 30th January 2001, a company now known as Sharpak Aylesham became the first site registered with QA International Certification Ltd against a brand new standard. The BRC/IoP Technical Standard for Companies Manufacturing and Supplying Food Packaging Materials for Retailer Branded Products was not officially released until 10 months later in October 2001, but QAICL, along with a number of other certification bodies were working with pilot companies towards UKAS accreditation. Following a successful audit, Sharpak Aylesham was granted certification, with the registration number QAIC/UK/BRC/001-1, with their Bridgwater site soon to follow as 001-2. In January 2017, Sharpak had their 18th audit against the much changed and improved Issue 5 of the BRC Global Standard for Packaging and Packaging Materials, which has evolved over the years into the "must-have" standard of choice for retailers and specifiers to give them the confidence in the product they are purchasing. Sharpak Aylesham Ltd is part of the Guillin Group of Companies and situated between Canterbury and Dover in Kent. They are a rigid thermoformed plastic packaging manufacturer supplying packaging to the Bespoke, Foodservice, Fruit and Vegetable market Sectors. Sharpak is approved by all major retailers and operates state of the art production machinery in a facility described by QA International as ‘world class’. Peter Askew, the Quality, Environment and H&S Manager met with QAIC Packaging Division Director John Hartley recently to discuss the benefits of the standard to his company, and why they have remained the longest serving certificated client of QAIC Packaging for all this time. "Sharpak has always believed that offering a first class service is key to securing our position as market leaders with our customers and within the industry. From the outset, Sharpak had the foresight to see how compliance with what was then the Technical Standard could underpin their reputation with customers, many of whom are still working with us, and of course in securing new business. We are grateful to QAI for giving us the opportunity to establish UKAS accreditation for a standard which we strongly believe certification to is a prerequisite for an order. Over the years we have seen QA International grow to probably the biggest certifying body for the BRC Global Standard for Packaging and Packaging Materials. We are proud, not only to hold the 001 certificate, but of our working partnership with QAI", said Peter. Alan Carter, Managing Director of QA International Certification Ltd said he was proud to think that the client had chosen to remain with QAICL, on the merits of its high standards of service, professional Auditors and overall attention to customer care. "The certification process requires a 'team' effort, and is a partnership in which the BRC, retailers in general, UKAS, the packaging team of QAICL, and of course the customer, can be proud" said Alan. The difficulties and importance of ensuring 'due diligence' within the food and packaging supply chain, cannot be over emphasised and Alan, on behalf of QAICL and its staff, congratulates the Sharpak company and its team for meeting such high expectations. John Hartley, who made the long journey from Darlington to Aylesham to meet up with the company and present their latest certificate, added, "I would hope that it is testament to the robust procedures and systems that QAICL operate too that a site such as Sharpak in Aylesham have remained with ourselves for such a long period of time. We would like to think that we have an approachable team of staff in the office who can assist sites with any queries throughout the year, and having now certificated a total of 547 sites around the world across this standard, to still have the company with 001 on their certificate makes us all very proud". We have received the following information from UKAS regarding the expiry dates for the 2008 version of ISO 9001, and the 2004 version of ISO 14001. Both standards will see existing certificates have a final expiry date of 14/09/2018. Please be advised that the date for re-certification on certificates for ISO 9001:2008 and ISO 14001:2004 cannot exceed (go past) the date that date. All Certificates issued to these standards will have re-certification before, but not exceeding the dates above. All sites who have not yet started the transition process to the 2015 version of the above standards should start making preparations for your future audits, as we are intending on trying to re-certify all existing certificates to the new versions in 2017 if possible. Issue 3 of the Storage & Distribution Standard is out! Issue 3 of the BRC Global Standard for Storage & Distribution was officially published by the BRC on 1st August, 2016 and is now available to purchase. This standard becomes "live" from the 1st February, 2017 - and all audits for Storage & Distribution will be against the new issue from that date. This new standard has been developed by a multi-stakeholder group, including retailers, food service companies, industry trade associations, independent experts, and certification bodies, and builds upon the experience from the previous issue. In revising the standard, the BRC have attempted to develop teh current requirements to ensure that they are robust enough to meet the current industry needs. Where applicable, requirements have been aligned with those that feature in the other Global Standards published by the BRC to ensure consistency and confidence throughout the entire supply chain. QAIC Packaging are currently reviewing all of the changes, and we will be in touch with all of our registered companies again shortly with further information. Back of the net for SAICA Peterlee! SAICA Pack in Peterlee where the winners of QAIC Packaging’s Euro 2016 score predictor. A competition open to all of our BRC Global Standards clients was held, and after a four way tie following the group stages, it was the Peterlee site who came closest to the tiebreak question of How many goals would be scored in the entire competition. Their entry, submitted by QSE Technician John Bowden, had gone for 115 goals, and with the final tally standing at 108, they were the overall closest. The entry had been a joint effort by Mr Bowden, and Production Manager Ian Swales, and it was QAIC Packaging Director John Hartley that visited the site recently to present both with a luxury food and drinks hamper for their efforts. The site themselves will also receive a 20% discount on the cost of their next BRC Global Standards audit as part of the prize. The competition was organised and administered by QAIC Packaging’s Operations Engineer Tom Clark, who said “ The competition was created to add a bit more excitement to this years Euro’s. It has been great to engage with so many customers who we normally only deal with once a year at audit time, and I am really looking forward to doing something again for the World Cup in 2018”. The British Retail Consortium have confirmed that QAIC Packaging, representing QA International Certification Ltd, have once again been awarded the 5* status as a top certification body. Following a period of 12 months with only 4*, the arrival of Ingeborg Zehetner, an Austrian based auditor, has meant that issues regarding the consecutive audit rule in Europe have now been resolved, and this has enabled us to once again get back to where we all know we belong. QAIC Packaging Director John Hartley is extremely proud. "The staff in the office have worked very hard to ensure that we were once again rated where we believe we should be. There have been lots of improvements to our systems over the past 12 months, and the confirmation that we are back to 5 stars is testament to a superb team of staff and auditors that work for us." QAIC Packaging has signed up to the Food Storage & Distribution Federation (FSDF) as an Associate Member. The FSDF are a UK trade body that focuses on representing and supporting the interests of the Food and Drink logistics industry. With the number of QAIC Packaging audits in the Storage & Distribution sector growing year on year, the opportunity of becoming the only certification body partner of the FSDF was a great opportunity, and we look forward to being represented at their member events in the future. Keep up to date with all the latest news from QAIC Packaging.